Three years in, I think that I am finally starting to understand why some quilters actually enjoy the quilting part of making a quilt. Aside from the basic stipple, my free motion quilting skills are nil. 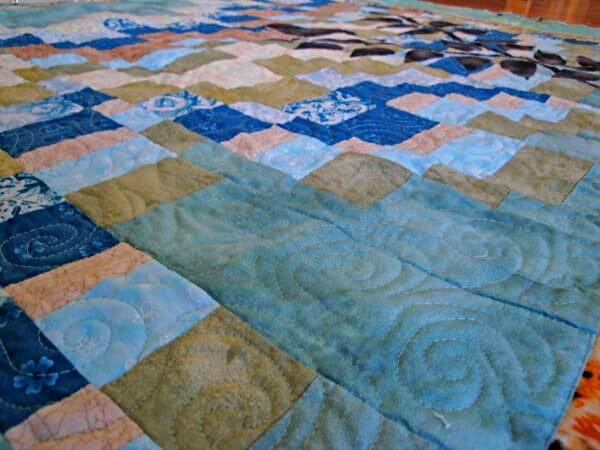 And the actual quilting part has been something to deal with in order to have a finished product. But the tricks of the trade seem to be 1) go slowly; 2) don't worry about imperfections; 3) pay some attention, but not too much; 4) take regular breaks. 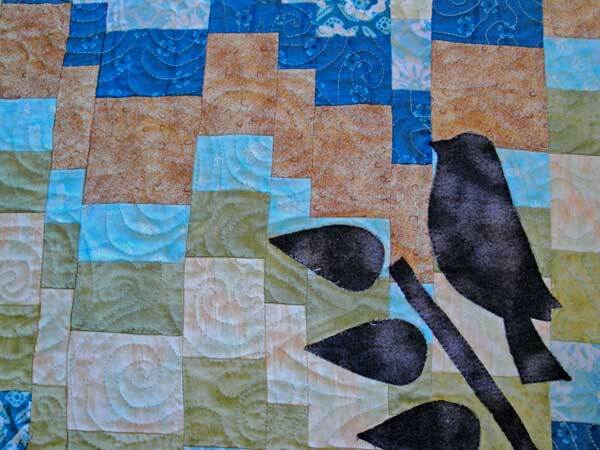 So I tried to just have fun doodling with thread onto the Bohemian Bird quilt. Mostly swirls, although some random echoing lines too. There are lots of mistakes, but nothing that a shrink in the wash can't fix. Or just don't look too closely. All this dense quilting shrunk the quilt from 50" x 52" to 48" x 49", all before a wash.
Lydia, is free motion quilting the curvy looking stitches? I love the Bohemian Bird one...you create really beautiful work! Hi MB! Free motion quilting to me basically means "drawing" freehand with thread using the sewing machine and manipulating the quilt through the machine. 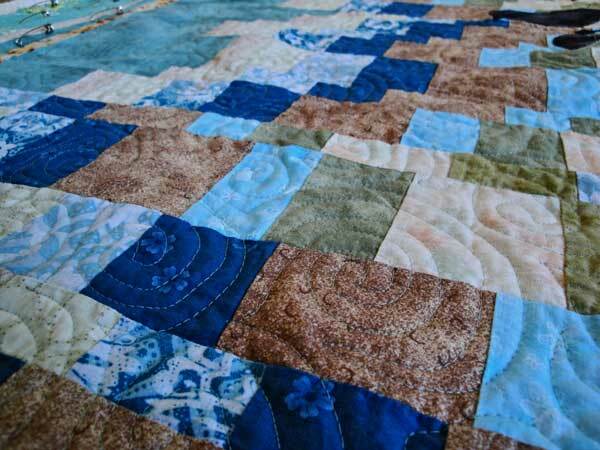 A lot easier to do when the quilt is small.